A life without music would be poor, with no sense and thanks God there are musicians out there whose music is not only the right company for the right moments, but also it works and as a mental cure. This is happening with the music of Fates Warning, they are not just a common progressive metal band, they are a personal experience for the most of us who follow and keep their music inside us. A new album of them is always a sign of new roads in our thoughts. So, “FWX” was the last album, but the excellent “Sympathetic Resonance” was the precursor of what the next step would be. With the return of Frank Aresti the bell chimed for two things; the reappearance of leads and solos and the return of the metal character. This doesn’t mean that the previous albums weren’t prog metal, they worked more as atmospheric and in the new one you can feel the heaviness of the songs. “One Thousand Fires”, “I Am” and the magnum opus “And yet It Moves” bring memories of the “Perfect Symmetry” era and apart from that, your brain can play with the riffs and thinking on your own what they remind you of. Jim spreads prog riffing and not clear progressive, you know the difference and if not, do not think of it because the main point is not that. And the new guy Bobby is the “beast” needed for that material, gnarly and infallible. Now, beyond the procedural themes of the album, the liturgical factor is that the songs are being one with you, they are you. One soul I know is used to saying; the importance in the new Fates album is the minore be offered by the songs. Once you hear them you can never take them out of your brain. Emotional bonding with “Firefly”, “Desire” and “Falling”. No one can run away from those lyrics, no one can hide. Even the contribution of Kevin Moore in “O Cloroform” can make you dive into the sea of words and breathe free without the fear of drown. Can you stand on your knees and confess to yourself the exactly words of “Into the Black”…? 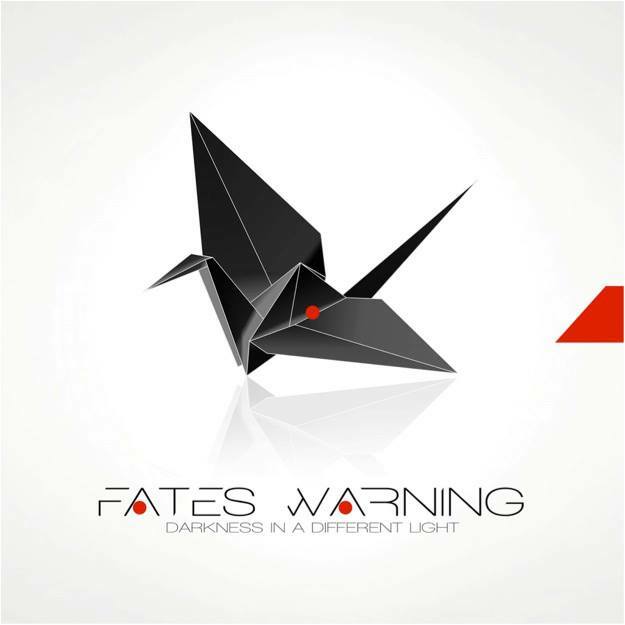 This is the Fates Warning album, another personal experience that through its music we decide to become better than we are now. Melodies, choruses that could be slogans on walls of a city and the prog metal seal that will never leave you. All these under the deep performance of Ray Alder; not able to scream anymore, but the material is done according to his vocal lines, which can intoxicate you. This band always goes on one step beyond, just like life. It’s not a secret anymore that Norway in the last 5 – 7 years has managed to be among the well – known countries playing progressive metal. This is not happening because of the abundant bands, but mainly because of the quality of the albums that are being produced by the musicians. 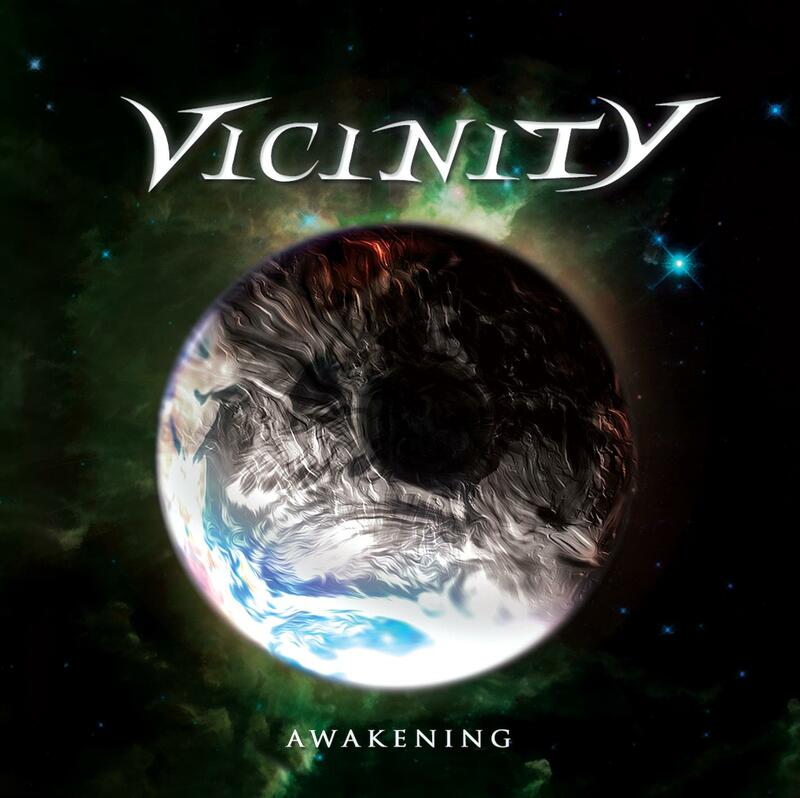 Vicinity are one of those bands that through their debut want to relate the love of the music that has been heard by the members and an ambition vision which is not unreachable. In the press release I noticed that the band has received great comments for their EP “Diffusion of Innovation”. Although I haven’t listened to it yet, judging by their debut “Awakening” I can realize the reason for all those positive comments and even more to justify them. Vicinity having the ignorance of danger with them as young musicians, manage to convert their influences to vicarious. And I like that they gathered things strictly from the Dream theater’s period of “Images & Words” and from Symphony X “The Divine Wings of Tragedy”. You can also find small and hidden keys from Shadow Gallery or Rush. The magic key of the band in all of its songs is lyricism. I can hear it in the guitars, in the melodies and harmonies and in the voice of Alexander who does excellent work, as his voice is unique. As for the songs you will be surprised even in the third listening. “Mass Delusion” has a straight heavy rhythm section that entices every ear with it and in the second half of it everything changes. If a song of 5 minutes can do this, then any kind of description for the three “epic” and intricate songs “Opportunities Lost”, “Walk All the Way” and “Awakening” by me will be totally poor. Some may find those songs somewhere being tiresome as the unite of successful “radio” parts with an ambitious constant is not the easiest thing to carry through. At least this is up to everyone’s mood. I’m really curious how Vicinity will go on with their next recordings. It is usual to say that the third album in the discography is the determinant one to further the sound, but we mustn’t forget that the second album sometimes may show more about the personal vision. So, search for the album and choose if it can be regarded as one of the tops of the year in its genre. Born out of the West Coast Metal scene in the 80’s, Metal Church quickly became one of the standout talents of their genre. The band’s first release simply entitled “Metal Church” postured the band as one of the pioneers of the thrash/metal scene, while their sophomore release “The Dark” was championed as one of the premier metal releases of the 80’s. Now with the current band’s line up, Kurdt Vanderhoof (guitar), Ronny Munroe (vox), Jeff Plate (drums), Rick Van Zandt (guitar) and Steve Unger on bass, “Generation Nothing” combines the best elements of the band’s early roots with modern day lyrical content and a revived hunger that delivers an electric assault of anthemic & epic metal songs! Videos for “Generation Nothing” and “Dead City” are currently in the post production stage and a world tour is in the works for 2014. Official release date for “Generation Nothing” is scheduled for October 22, 2013. Over the years we have seen musicians tasting an experimenting way on their music after some albums of one kind direction or when they had run out of inspiration. But the madness to create an album that few ears can hold on, how many had the will to do it? Personally, I don’t know many of them; and here Mr. Mojo Ioannis from Greece created a debut that express him totally even if it doesn’t attract many of us. 5 songs on a unique sound and all you are going to hear are played by Mr. Mojo. If there is something in here we can say that appeals the ear, this is the use of the keyboards and honestly those keyboards Axl Rose would kill to have them in a new album of Guns N’ Roses. A sound that some may say is nothing and some others, including me, will say that is a strange music genius addiction. The only song that cannot be heard is “Sexsuchtig”, I cannot describe it. On the other hand, hearing “Evil (Lucas Is the Controller)” and “Suburban Sleepers Will Wake up One Day” show that magnificent voice, even it’s going through electronic “roads”. 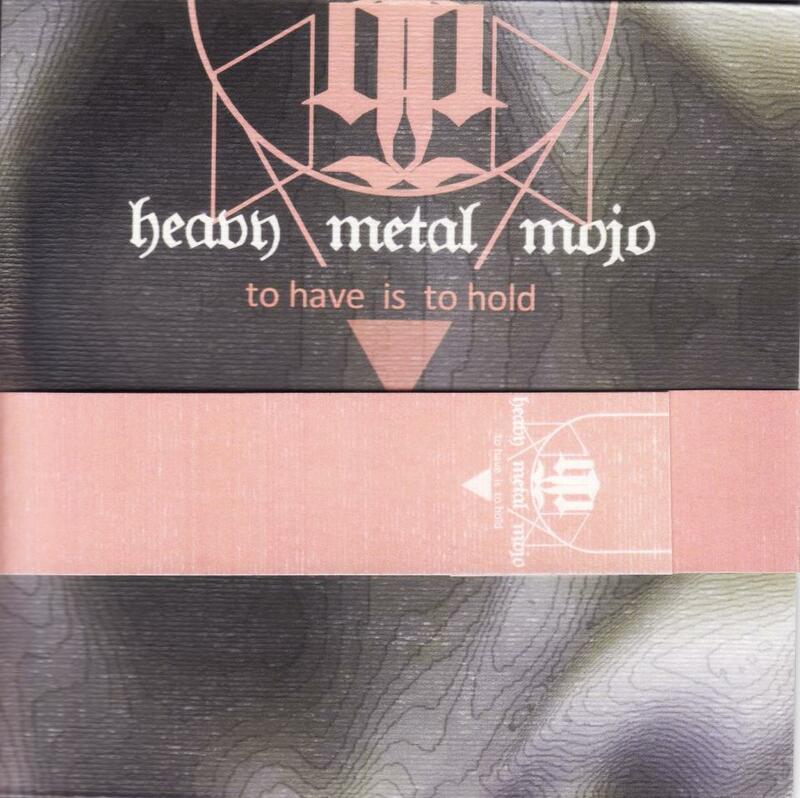 Here you hear a Halford performance, but trust me Mr. Mojo’s voice is not only what you may hear in here, his inner strength is wide. Looking back at the year of 1969 no one could realize what an album like “In the Court of the Crimson King” could create. A sound that through the years has been evolved reaching new horizons and thus the word progressive represents that sound in every dimension of it. Being in today fresh brains pass by the danger zone of playing the music of some other bands and the approach of a modern sound (or if you like to contain in the type “djent”) seems as attractive as it used to be the prog sound yesterday. 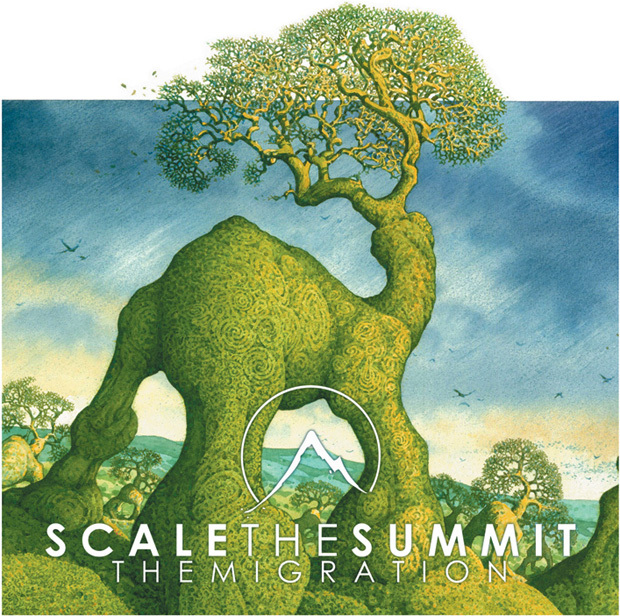 In the field of neo prog next to bands like Protest the Hero and Leprous some guys from Texas, named Scale the Summit, decide to stand in the first positions through their fourth seal “The Migration”. What makes this band being special among the others is the instrumental face. Personally, this is something that I really like about them as they have the ability to build songs which apart from a high technique carry emotions that turn into feelings to you, even there are no lyrics. Sometimes the music without words is a whole world. The songs do not last more than six minutes, a positive element, as in those minutes the band can do great things. The harmonies on guitars create on their turn melodies and the bass is so alive that stands in every second strong enough to span the guitar lines. You will enjoy “Odyssey”, “Oracle”, “Atlas Novus”, “Olive Tree” whose prelude is a modern Rush part. What I really admire in their music is that the band recognizes the contribution of Gojira in prog metal and I see that in their fury rhythm sections as it happens in the excellent “The Dark Horse”. Without hesitation I’m telling you that we have to do with one of the best and excellent prog releases in 2013. All the progsters should check this album and if you are able to see Scale the Summit somewhere near by you do ti, because I’ve noticed that a live experience of them is something marvelous, as their album. After ten years of silence the new, third ablum of DARK MAN SHADOW is finally ready to be released! “Victims of Negligence” is the titel of the successor to the highly recommended second album “The Shore of Straying”. The work on the first audible resuslts since 2003 started already in 2008 and are now accomplished in an opulent masterpiece of Symphonic Black/Dark Metal. “Victims of Negligence” will be released on November 15th 2013. LEGIONS OF WAR (Sweden) – Back To The Front !!! “We’re really proud to announce you that LEGIONS OF WAR are BACK TO THE FRONT ! 4 years after their tremendous & merciless surprise attack entitled “Towards Death” in 2009 which took no prisoner (and highly acclaimed by underground medias that compared the bands to such monsters as DESTROYER’666 or GOSPEL OF THE HORNS !) – and their self-released thunder assault “Riding With The Blitz” (an EP with two new tracks in 2011) – swedish warmongers LEGIONS OF WAR come out from their long retreat with a new arsenal to take the world by storm ! 9 new missiles made in the strongest steel with an incredibly precise strike force will soon be unleashed on INFERNO Records under the name “Forced To The Ground” ! This new armada shows a more aggressive and still heavier side of LEGIONS OF WAR ! Guitar riffs cut like scalpels, rythmics are like hammers coming down in a relentless manner, vocals are raw & scorched (but still very clear, no growls or grunts… or hysterical screams) and express all the atrocities of war like never before… The style is basically THRASH with a very personal approach (the whole concept is about WAR, which means the sound is very cold) but has definitely a strong HEAVY-METAL influence… Guitar solos are the undeniable proof as well as somme acoustic parts that will make your blood freeze ! A promo-video for “Forced To The Ground” will soon be available for streaming too – stay tuned !